We have an August Special Offer for all orders on our Website for Dart 18 Parts. 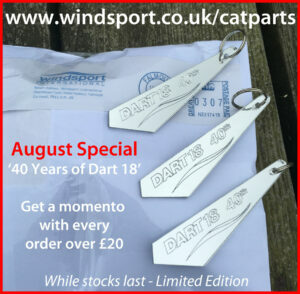 We will throw in A ’40 Year of Dart 18 Catamaran‘ momentos with every order over £20. Click here to go to our Catparts Website. While stocks Last – Limited Edition.